Helicopters and motorcycles are infinitely cool vehicles, and their pilots tend to be equally hip, even if it’s an unintentional style. Marrying these two styles, in what is possibly a mega-cool product, is the Hi-Jack Diesel Motorcycle Helmet. 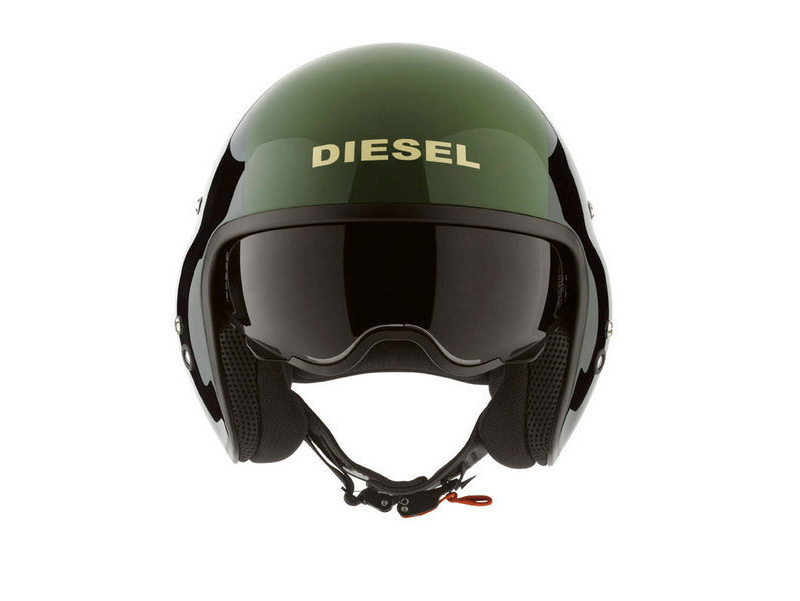 But unlike others who try too hard to look suave, the Hi-Jack Diesel helmet is simplified and specific; it is not interested in advertising itself. The most subtle part about the helmet is the chameleon-like variation in color. A wide green strip of dark green tint colors the cap of the helmet. Most of the frame is a stark, glossy black. But as sunlight falls on the helmet, the colors shifts and shimmers like an iridescent bird. 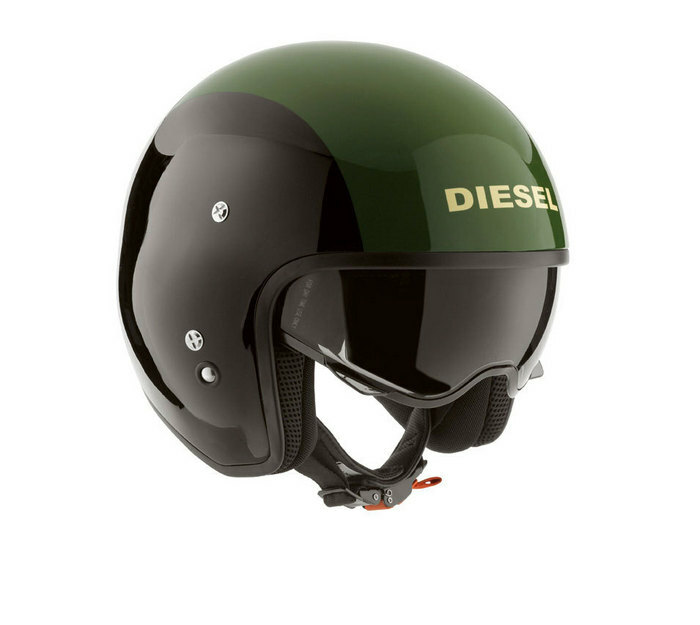 Riding on the road with the Hi-Jack Diesel helmet is an exercise in subdued style. People will remember you because of how sharp and simple you look in comparison to other, flashier riders. The only other noticeable design detail to the Hi-Jack helmet is the shade that descends from the visor of the helmet. The tinted shade will shield you from the glare that illuminates your iridescent cap that captures the attention of everyone. 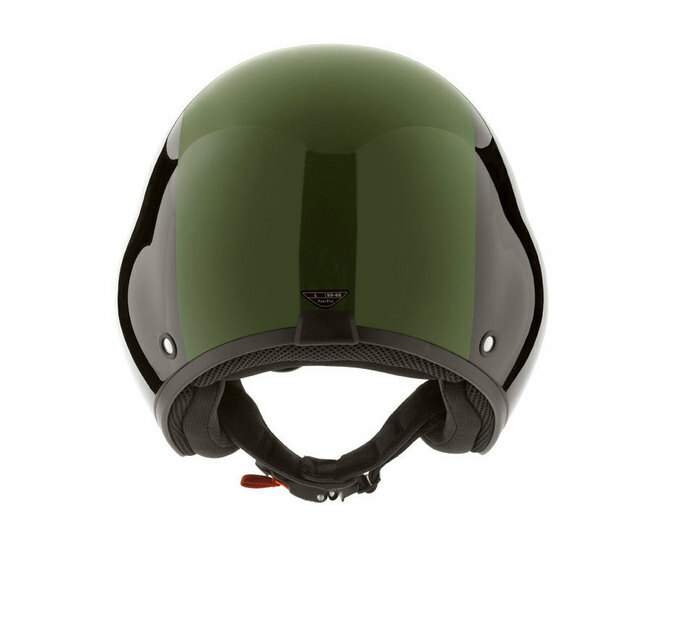 The Hi-Jack helmet is a fiberglass shell with breathable, Dri-Lex fabric inside.